November 7, 2012 April 1, 2013 / Julie Brook, Esq. 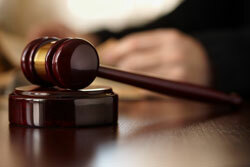 In California family law cases, it’s a judge—not a jury—that will decide your case. To help you hone your approach to handling family law hearings and trials, here are the first 5 of 10 inside tips from retired family law judge and CEB author Hon. Frederick A. Mandabach. Be Prepared. Judges appreciate lawyers and litigants who are prepared, because the proceedings tend to flow smoothly and fit within time estimates. Any attorney who has gone into a hearing or a trial with everything in place knows the feeling of confidence this inspires and what assets self-confidence and the feeling of control can be in the courtroom. By contrast, the unprepared attorney who tries both to prepare and to present the case during the proceedings wastes time and effort, loses focus, blurs issues, and causes further delays when this approach pushes the hearing or trial beyond the time allotted. Develop an Appropriate Style. Judges appreciate attorneys who seek to minimize the stress level in the courtroom. Most judges prefer, for example, to see witnesses treated with courtesy rather than to see them savaged on the stand. Instead of dispensing pain and suffering, some very successful attorneys use less offensive methods to dismantle witnesses. A lie can be unmasked with humor as well as by tirade. A courteous and calm attorney can often transfer some of these positive feelings to the case as a whole. Maintain a Helpful Attitude. We all know that in dealing with others we achieve more success if we approach them with a helpful attitude. Unfortunately, by the time the average person reaches the courtroom, he or she may have gone through a great deal of stress and frustration. Many people vent their frustrations in the courtroom. This isn’t helpful. What is helpful is to remind yourself to approach the court with a positive and helpful attitude; this is more likely to set the stage for positive results. A helpful attitude toward the opposition can also be beneficial. Know Your Judge. It’s always important to know your audience. In family law, the audience is the judge. If you know in advance who the judge will be, learn his or her preferences. Some judges, for example, appreciate introductory statements. Others, who may have carefully reviewed the moving and responding papers or trial briefs, will probably find an opening statement annoying. If you don’t know the judge’s preference, ask. Attorneys quickly learn judicial preferences by observation, speaking with other lawyers, or, sometimes, by reading profiles available in law libraries. Know Your Opponent. Family law attorneys seem to be either those who work well with other attorneys and adopt the principle of “give a little, take a little” or those who believe in taking no prisoners. It helps to know whether the other side will be playing total hardball before getting deeply into the proceedings. Don’t start off by granting your opponent great latitude on evidentiary matters unless there is a record that your opponent will follow the same approach. You can be civil while insisting on fairness. Click here for 5 more tips from Judge Mandabach! The entire article by Judge Mandabach from which this material was excerpted is in CEB’s Practice Under the California Family Code: Dissolution, Legal Separation, Nullity, chap 2, a must-have resource for any attorney who wants to excel at navigating the world of family law cases, from filing initial pleadings through through hearings or trials. 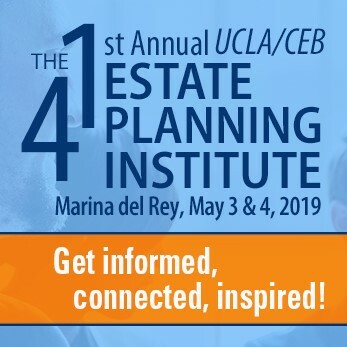 And don’t miss the upcoming CEB 2012 Family Law Conference, Recent Developments in Family Law Practice, and Drafting Family Law Agreements in Costa Mesa on Nov. 16-17.